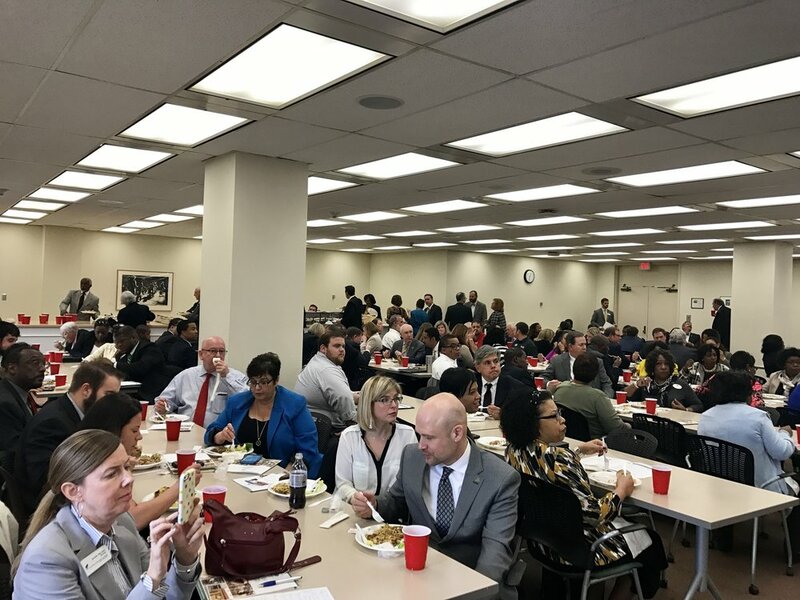 The Board of Directors of the South Carolina Association for Community Economic Development invites you to the 2018 Legislative Luncheon on February 7 at noon. 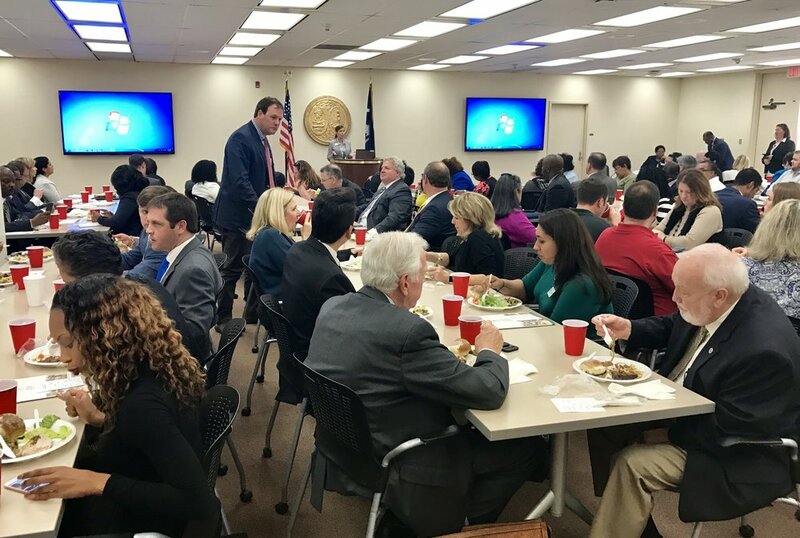 The top priority of SCACED's 2017 Public Policy Agenda is to pass new community development tax credit legislation in South Carolina, so we are thrilled to announce that the bill has been introduced in each of the chambers. Senate Bill S.412 gives a 100% tax credit, and House Bill H.3842 has a tax credit of 33%. We ask that everyone take a moment to message Senator Paul Campbell and Representative Gary Simrill to thank them for their leadership in increasing economic development in our state. 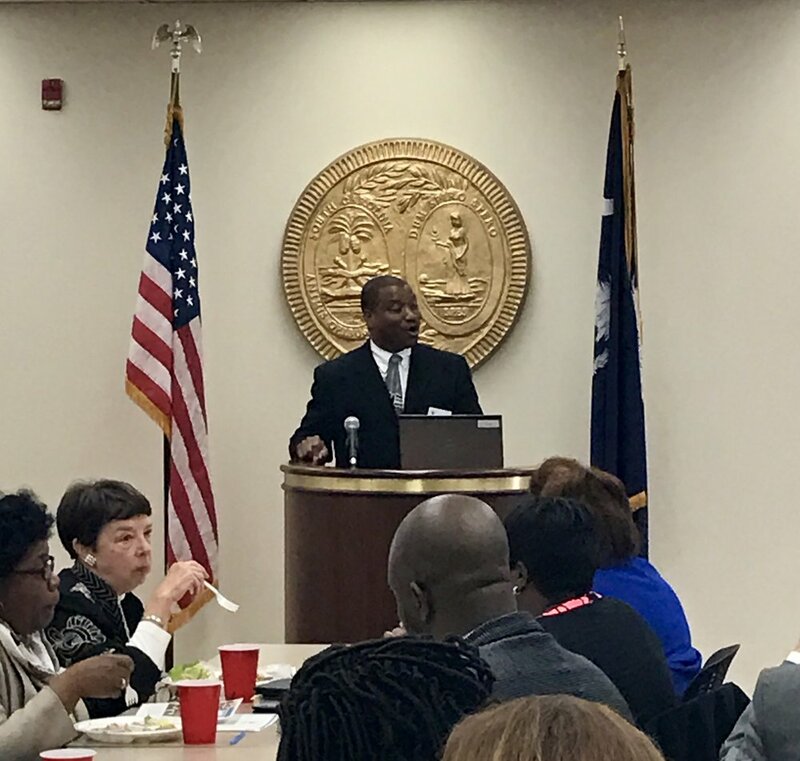 For the past 23 years, SCACED has advocated for policies to advance the community economic development industry in South Carolina. Our landmark legislative success was the passage of the SC Community Economic Development Act. This law has set the stage for attracting capital to low-wealth communities and unleashing the innovation that exists in our communities. We now seek to improve upon the SC CED Act with legislation that will expand and improve the SC Community Development Tax Credit. The new legislation will increase the community development tax credit from 33% to 100%, increase the annual amount of tax credits from $1 million to $5 million and expand the eligibility of financial institutions to use the tax credits for targeted investments in low wealth communities. This means that an investment in a certified community development corporation (CDC) or community development financial institution (CDFI) will benefit the investor by allowing them a 100% credit against their state income, bank, corporate tax or premium tax liability. This is a powerful incentive to attract private capital into low-wealth communities through certified non-profits. Increasing the tax credit from 33% to 100% creating an even greater incentive for private capital to flow into low-wealth communities. Increasing the amount of credits available statewide from one million dollars annually to five million dollars annually. Ensure the equitable distribution of tax credits by stipulating that a portion of the tax credits (25%) be available to small rural-based CDC’s during the first three quarters of each tax year. Expanding eligibility to all banks and financial institutions that operate in SC rather than just those chartered here. This will improve the likelihood of investments in CDC’s and CDFI’s. House Bill H.3842 will accomplish all of the above, with the exception of the tax credit remaining at 33%. Additional Amendments: Unused tax credits will no longer be carried forward, so the program is capped at $5M per year. However, individual taxpayers will continue to be allowed to carry forward tax credits for up to ten years when those credits exceed the taxpayer’s tax liability for a given year. House Bill H.3842 is currently in the SC House Ways and Means Committee. Please contact your representative and ask them to sign on as a co-sponsor of the legislation. You may find your representative by clicking here and entering in your zip code. Additionally, please contact members of the SC House Ways and Means Committee and ask them to vote in favor of the H.3842. You can access information on members of the SC House Ways and Means Committee below by clicking the links below. Simrill, J. Gary, 1st V.C. Senate Bill S.412 is currently in the SC Senate Finance Committee. You may find your senator by clicking here and entering in your zip code. You can access information on members of the SC Senate Finance Committee below by clicking the links below. Please contact members of the SC Senate Finance Committee and ask them to vote in favor of the S.412. SCACED's President and CEO, Bernie Mazyck, participated in a panel discussion at the Aspen Institute in Washington, DC, on February 10th. 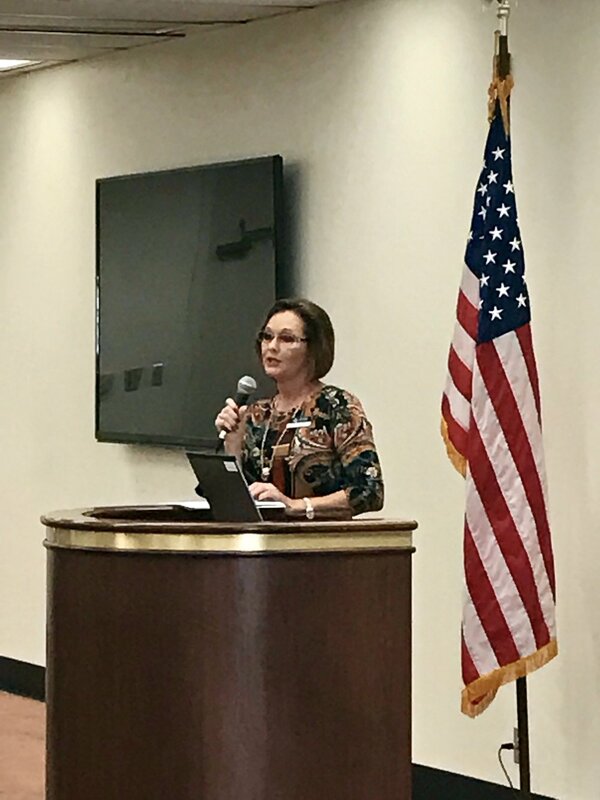 The event was a part of America’s Rural Opportunity, a six-part series of panel conversations that invites policymakers, economic and community development practitioners, and business and philanthropic leaders to engage in real dialogue around advancing a rural opportunity agenda. This particular discussion was about how local innovation strengthens rural economies, and Bernie spoke about tax credits for rural investment through the South Carolina Community Development Tax Credit. The discussion was available via livestream, and we invite you watch the recording below. In addition, you can learn more at aspeninstitute.org/events/local-innovation-rural-economies.